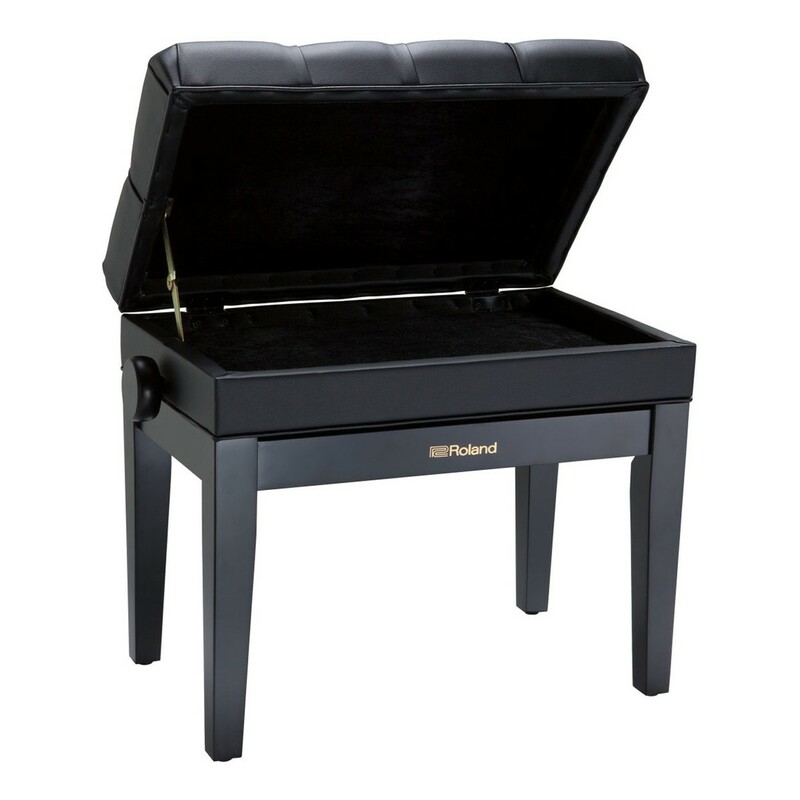 The Roland RPB-500PE Piano Bench features a compartment to store your accessories and sheet music. 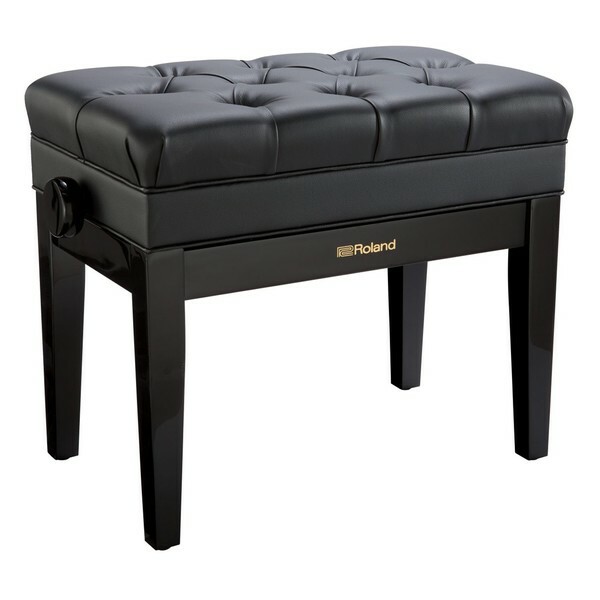 The cushioned padding is comfortable and supports a correct playing posture. The RPB-500's adjustable height of 10cm allows musicians to find their exact position preference. This model's solid wood frame has a heavy duty build quality, whilst the rubber foot caps keep the stool stable. The RPB-500's classic styling and polished ebony finish is a classic look for any stage, upright or grand piano.